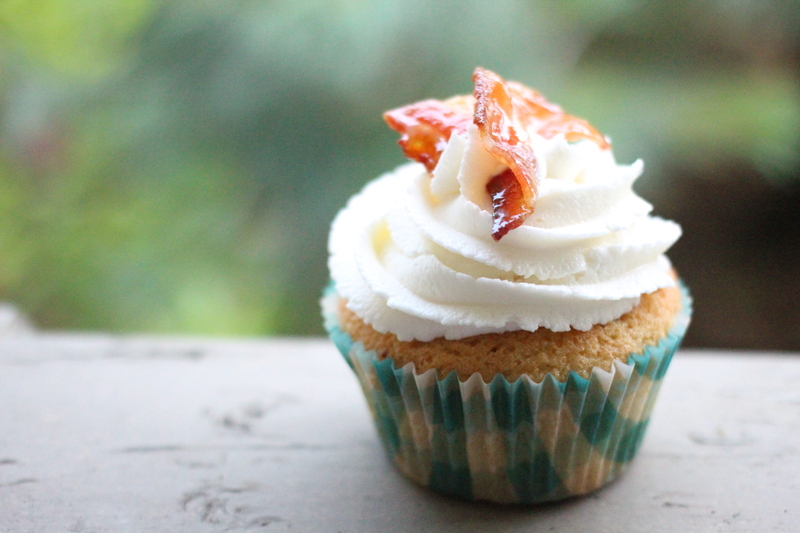 maple bacon cupcakes – amandarobots. Recently, I discovered CupcakeJemma on YouTube (through one of those pesky ads, believe it or not!). She’s a British baker with her own bakery, and she’s also affiliated with Jaime Oliver. I watched a ton of her videos, and it was love – she’s funny, clever, and insanely creative. She makes baking and cake decorating youthful, fun, exciting, and accessible. I like her so much, I ordered her cook book. That being said, there are few recipes in this world that I see and feel like I have to try. Mostly I just stick with the classics – vanilla cupcakes, chocolate cupcakes, brownies, chocolate chip cookies, and so on. I am not by any means an adventurous baker. But Jemma’s video for Maple & Bacon Cupcakes made it look so delicious that I couldn’t not try it. It’s bacon in a cupcake, and as a fan of both those things, I got excited. Read more!